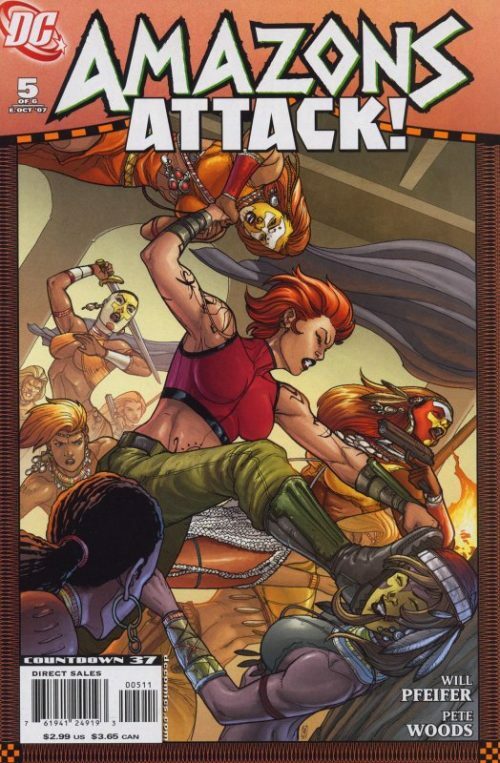 This issue is a companion issue to “Amazons Attack!” #3 and as per previous issues, its continuity is effectively entwined with the other. We finally reach the confrontation that has been inevitably building between mother and daughter, as Diana is left with no choice but to battle Hippolyta. The conversation between mother and daughter is well written by Picoult. I personally find that it manages well to tie the soul searching that the slaying of Max Lord has caused Wonder Woman together with her journey over the past few issues to find herself and what she has become since her first arrival in Man’s World. A mortally wounded Tom Tresser also reveals in this issue that he had worked out that her secret identity was agent Diana Prince. Seems like Diana wasn’t as good at keeping her identity a secret for very long unlike the old pros Batman and Superman eh? This issue has interior art by Paco Diaz who although does a very nice job is just not quite as consistently impressive in every panel as the Dodsons, who return to interior artwork duties very soon afterwards. 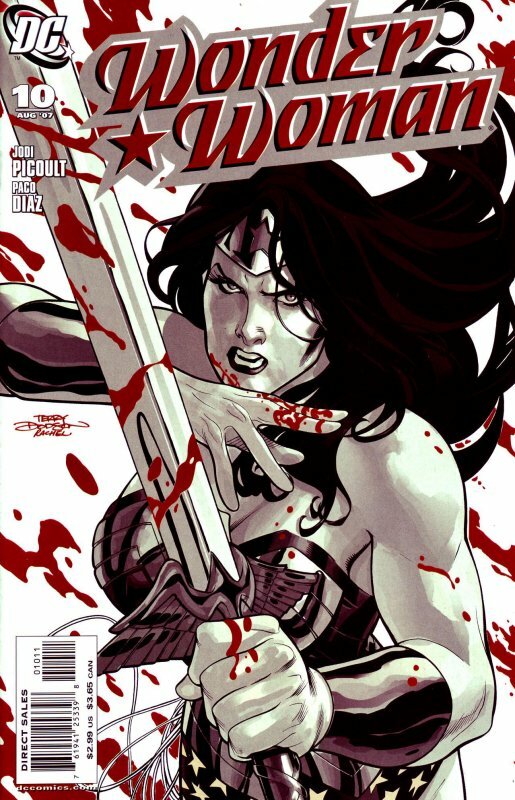 However, they do have time to provide the issue with a striking semi-coloured cover featuring a fierce Wonder Woman advancing, sword at the ready. 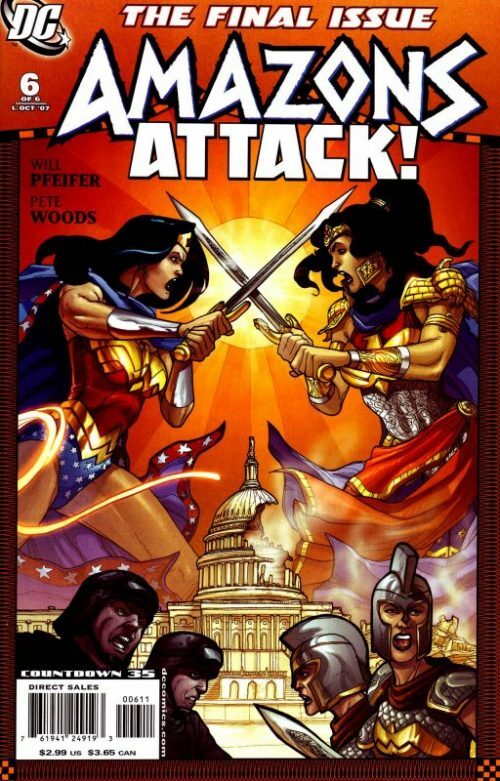 As she faces death from a hail of oncoming Amazon spears Wonder Woman assesses recent events and asks herself again just who is she and what she has become? Perhaps what she has been doing all along has not been living life, but avoiding death. Maybe there is a difference. She has always done what is right because it is what her mother had taught her. Does that make her a hero…or a robot? Snapping out of her self analysis, she springs into life and catches a fast approaching spear in her hand. She uses it to deflect the others aimed at Tom and then advances on her attackers. It feels to her as if someone new is emerging…not the person her mother raised her to be but someone entirely different she does not yet understand. 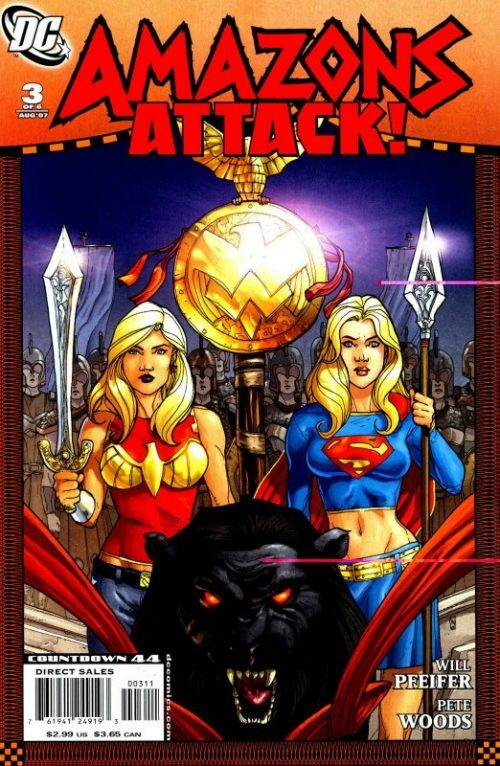 Having swiftly felled her Amazon sisters she faces Hippolyta. She says that they need to talk but the Queen responds that the humans are going to lose the war whether Diana chooses to fight with the Amazons or against them. 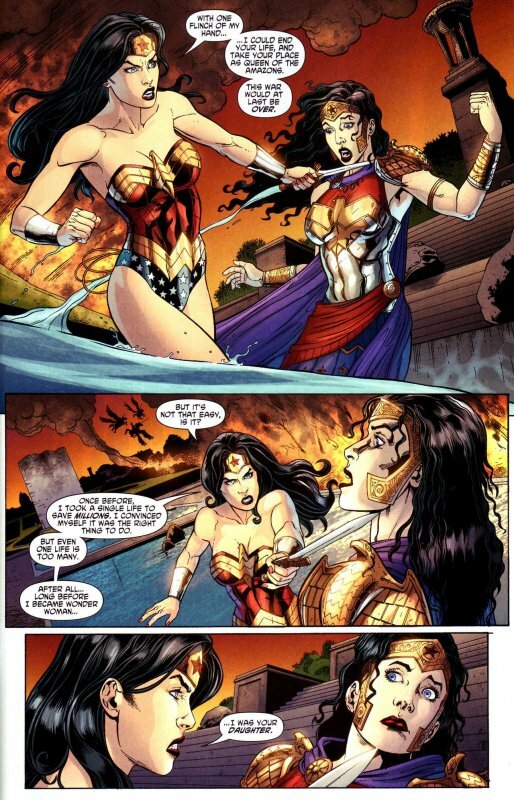 Wonder Woman replies that Hippolyta had started this war and it can only end when Diana seizes the throne from her. 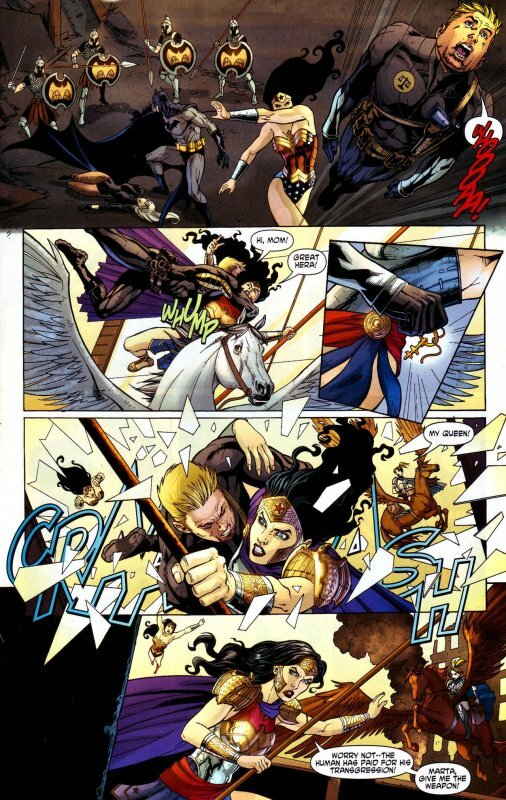 An enraged Hippolyta lashes out knocking her daughter flying and she she and her troops make their escape, Wonder Woman is forced to rescue Tom as the building begins to crumble around them. She catches his plummeting body in her lasso and smiling, jokes “You must really love me right now”. As she carries him across the city she says that they have got to convince Hippolyta to stop this madness and find a way to save Themyscira from the nuclear missiles now aimed at it. Wonder Woman replies that Circe had also given the Amazons some sort of secret weapon but she does not know what it is yet. 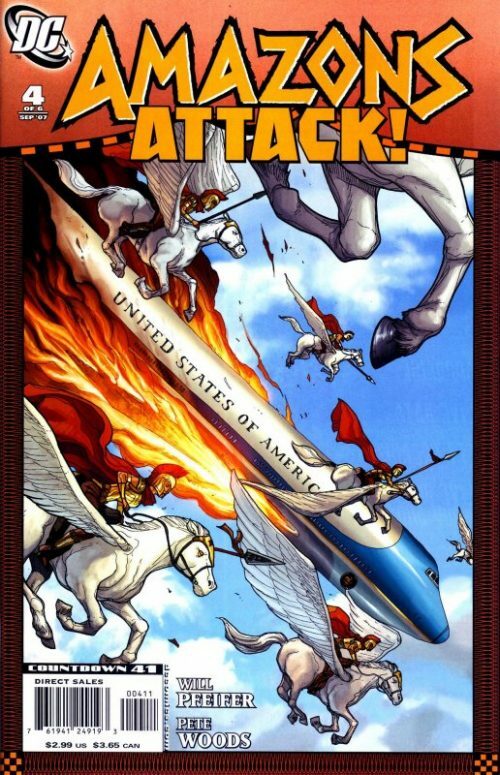 Tom replies that with Circe dead surely they can now just focus on the problem of the missiles but Diana replies that she will not believe the 50,000 year old witch is truly dead until she has seen the body. She then sees Batman and Black Canary below and touches down to discuss next moves. But before she and Batman can talk Hippolyta arrives with more troops and attacks them! During the brawl Black Canary is knocked unconscious as Diana tries to reason with her mother and tell her about how their homeland is in danger. But the Queen ignores her and orders one an Amazon named Marta to prepare the weapon which is inside a box. Wonder Woman cries out to her comrades that they have to stop it being opened and Tom suggests she throws him up at Hippolyta and Marta while she helps Batman deal with the other warriors closing in around them on the ground. She does just that and he sails through the air colliding into Hippolyta and knocking her off her horse. In doing so he manages to pocket the key to the box. They both tumble to the ground and disappear from view. A few moments later Hippolyta appears again and says that Tom has paid for his attack, requesting that Marta hands her the box. Wonder Woman sees the Queen take the box and use the key to begin opening the lock. As she cries out a warning the real Hippolyta appears and warns Marta that she has given the weapon to Tom who has been posing as the Amazon Queen! Diana warns Tom not to open the box as he knocks Marta away but it is already beginning to open and he realises that he has not time to dispose of it. In a flash of light the box opens unleashing insect eggs which quickly hatch and release a swarm of large Hornets. A puzzled Tom jokes that the big secret weapon is nothing more than bees, but Wonder Woman explains that these are Stygian Killer Hornets and he must not let them sting him. 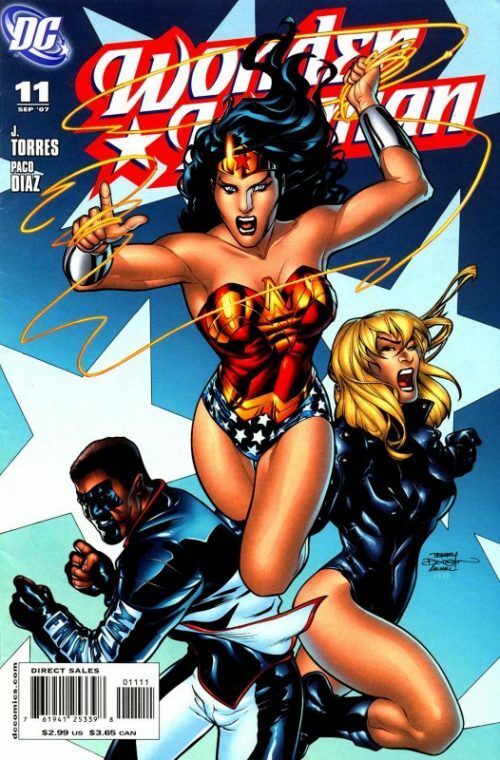 The insects are native to Themyscira, highly aggressive and a single sting can kill a man in hours! As Diana shields her mother Tom sees that Marta is still lying unconscious on the ground as the Hornets approach. He races over to her and uses a discarded Amazon cloak to cover her and protect her. But in doing so he is stung and Wonder Woman leaps to his aide as Superman and Green Lantern arrive on the scene, using their heat vision and ring respectively to destroy the insects. But Diana finds she is too late and that Tom has already been stung a couple of times. As he weakens she holds him in her arms and he asks if Marta is safe. She nods and tells him he had been very heroic. He weakly replies “You stop believing in heroes and the hero inside you dies…I already told you that once….Diana“. A Wonder Woman surprised realises he knows her secret identity and is distraught as he finally slips into a coma. Enraged, she stands up and confronts her mother, telling Hippolyta that she is responsible. The Queen asks who this woman is before her who would dare to fight her own mother and cry at the sight of a dying human? Diana asks herself the same question. How come the one thing that should be obvious to all of us is the one thing we spend our entire lives trying to figure out? She things to herself that she should just use her own lasso on herself. The truth hurts and you can only hide from it for so long…because sooner or later..the truth is…it finds you. With that Wonder Woman punches her mother sending her flying into a nearby building. 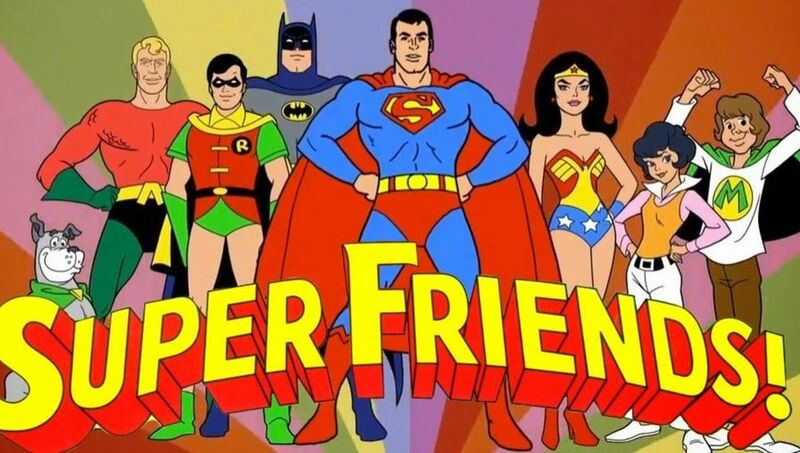 An angry Diana pursues her quarry while Batman attends to the comatose Tom and Superman and Green Lantern fight off the remaining Amazons. 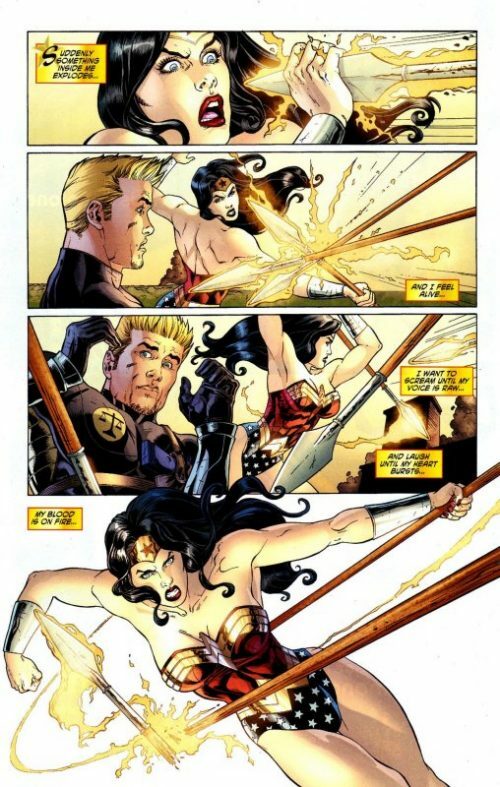 As Wonder Woman uses her bracelets to shatter Hippolyta lunging spear, she says “I’ll tell you exactly who I am mother. I’m who you raised me to be…but I’m more than just that”. Punching Hippolyta again hard, she sends the Queen splashing into the water and adds “You should be able to look at me and see the girl I was, and the woman I’ve become…just as I can look at what you’ve become and accept you in spite of it”. A surprised Hippolyta watches as Diana calmly turns the dagger round and hands it to her mother. And as the Queen places the blade against Wonder Woman’s neck her daughter continues “Not long ago you asked me if I would die for these humans you once sent me to protect and I tell you now that I would. But this is no longer what you should be asking. The question isn’t what I’d be willing to lose…the question is mother…would you kill me to win?